Choose the smartest way to share your best ideas. Ricoh MPC 2504sp. With the RICOH ® MP C2004SP/MP C2504SP, you can customise the way you work with iconic automated shortcuts, user-specific security controls and fingertip access to critical information via our solution- focused, Workstyle Innovation Technology. 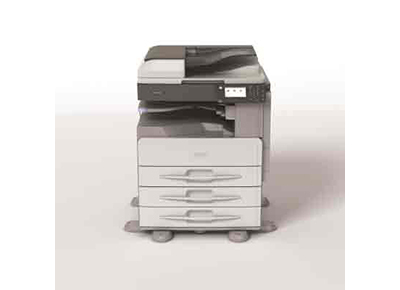 Use the intuitive touchscreen control panel to print impressive full-colour documents. Scan and distribute originals to anyone, anywhere in moments. Access information easily from the Cloud. What’s more, you can do it all from your smartphone or tablet. Place this affordable, compact device in smaller, shared office environments, so your entire workgroup can manage every job — from start to finish — with speed, accuracy and accountability.